Brihaspati Infotech is a global digital service provider acclaimed for Design, Development, Marketing & Web and Mobile App Consultation. Brihaspati Infotech's CMS (Content Management System) Development service offers custom website development, providing a fully-functional, comprehensive and compatible platform for your business, with continuous support. Their website developers specialize in technologies like WordPress, Joomla, Drupal, Modx ,Concrete5, Facebook/Twitter, Paypal/Authorize.net, Fedex/USPS InfusionSoft, Yii, CakePHP, Zend, and Codeigniter. Brihaspati Infotech provides comprehensive e-commerce design and development packages. Their developers can build an e-commerce store for you or optimize your existing store to boost sales. Brihaspati Infotech's core designer team specializes in mock-up creation for web & mobile applications, user interface wire frames, PSD to HTML slicing and has rich knowledge in HTML5 mark-ups. Their web designers and developers follow standardized guidelines laid down by W3C for web, Apple for iOS, and guidelines for android applications. Brihaspati Infotech's team of developers offers mobile application development services on Android, iOs and other platforms including highly advanced Hybrid technologies like PhoneGap and HTML5. Brihaspati Infotech provides result-driven marketing services and outstanding customer support. SEO, SMO (Social Media Optimization) and PPC (Pay Per Click) are a few techniques that can get you in the good books of top search engines like Google. 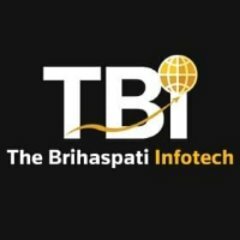 Brihaspati Infotech's web strategists and SEO experts are skilled in keyword ranking, SMO, content optimization, off-page and on-page optimization.